If you have always preferred a more car-like SUV to drive, it’s time to take a closer look at the BMW X5. 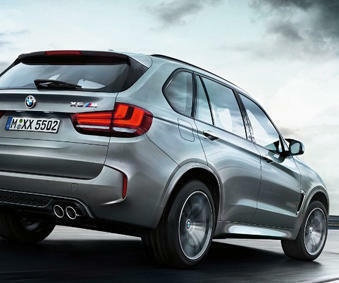 This latest X5 offering sets a new standard for driveability, with great dynamic agility and a powerful set of engines. BMW’s third-generation model of the X5 moves the game on with the promise of more comfort and practicality than ever before. Even the interiors are spacious now, with room for passengers has increased as well, especially around the shoulders. One of the top reasons to consider this crossover is that it handles well like any of BMW’s famed sports sedans. Its optional third row, its flexibility and styling make it a sure shot favorite. Your ultimate SUV at the ultimate location – Budds’ BMW Oakville. Your BMW X5 represents a significant investment, and you want to do all you can to keep it running in top shape. Now a no-compromise approach to providing premium-level service awaits you at Budds BMW, the most loved BMW centre in Oakville Ontario. Our team is here to help you, as we specialize in taking good care and maintaining and repairing all BMW coupes, sedans, convertibles and SUVs. Expert BMW Service you can count on, in Oakville Ontario. Trust the most preferred dealership at Budds’ BMW Oakville Ontario. Our state-of-the-art BMW service center can address all your needs, from routine oil changes and tire rotations to more extensive repairs. Take advantage of our competitive pricing, superior service and the assurance that comes with knowing you’re dealing with BMW experts. Schedule an appointment for your BMW X5 at Budds BMW at Oakville Ontario, and meet a true expert to handle all your car needs expertly and efficiently. Step in to Budds BMW at Oakville Ontario. Call us at toll Free: 1-866-434-2833 to book your appointment or just drop in at 2454 South Service Road W. Oakville, ON L6L 5M9 today.